Applicable modifier to XP. We would like you to have an extra XP bonus besides what you earn in battles. Thanks to the WoT PA, you'll be able to apply a x3 modifier and increase the experience earned in your latest victorious battle. You can use this modifier several times a day, whenever you want, when playing on vehicles of any tier, and research new vehicles and their modules much faster. Also, if you have a x2 modifier (for example, for the first victory), then you can additionally apply the x3 bonus and immediately earn x5 XP in a battle! Reserve Stock. We made sure that you had enough Credits for a comfortable and enjoyable game, for refilling your ammo and consumables with no worries. With the WoT PA, an additional 10% bonus to Credits on top of what you earn in battles will fall into a special vault. It's an extra bonus which is a plus for your battle income. For example, if you earned 10,000 in a battle, your vault will receive 1,000 thanks to the 10% bonus. Within a week, you can accumulate a maximum of 750,000 in the vault. Every 7 days, regardless of whether your WoT PA has expired that week, the vault will open, and all Credits accumulated in it will be automatically moved to your account. Daily battle missions. Stock up on ammo and rework your loadouts, Commanders! Owners of a WoT Premium Account will have the opportunity to fulfil special consecutive daily missions. Completing these missions will bring you Credits, Bonds and more. You’ll enjoy exciting and challenging tasks to diversify your gaming experience and win tons of rewards along the way! Platoon bonus. Even more Credits and XP! Play with your friends in a Platoon, it's not only fun, but also very profitable. 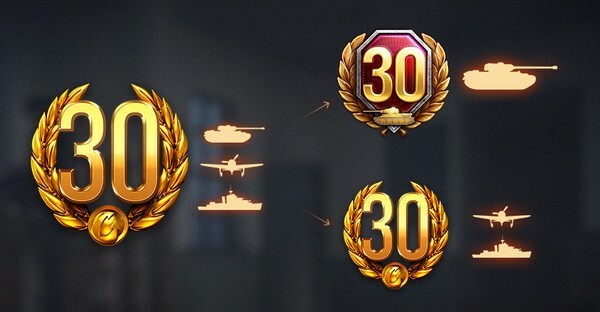 With the release of WoT Premium Account, we'll completely overhaul the XP bonus while playing in Platoons. As such, the XP bonus won’t depend on a vehicle tier, the outcome of a battle and whether you have a WoT Premium Account or not. Now playing as a Platoon, you will always get +15% XP. Also, speaking of what the new WoT Premium Account gives you, we should mention a Credit bonus. If at least one player in a Platoon has a WoT PA, that player will earn +15% Credits for every battle, and the one who doesn’t have it, will receive + 10% Credits. Excluded Maps. Just like we outlined before, we'll roll out a map blacklist feature soon. Now you'll be able to block one map of your choice and avoid it in the matchmaking queue. However, all owners of WoT PA will have one more slot for excluding, so you can block 2 maps in total. Play on maps you really enjoy! You have purchased or received 1 day of Regular Premium Account. Logging into World of Tanks, you will find in your profile 1 day of WoT Premium Account. In other games of the trilogy, you will receive 1 day of regular Premium Account. In this F.A.Q, we’ve focused on some critical points and detailed clarifications on different WoT PA aspects. You will find a lot of helpful information in this block, so please don't skip it and read really carefully. You will receive the same number of days of regular Premium Account, in the form of World of Tanks Premium account, on the release day. 6. What will happen to my vault if my WoT Premium Account has expired before its opening? In this scenario, all Credits that you have earnt will automatically be added to your account after the weekly reset. In other words, you will still receive the Credits you earnt from the vault, despite the WoT Premium Account expiry.